We treat our clients like friends and our team like family. We work together to enrich our communities. We Put the REAL in Real Estate. Robin is a native Minnesotan, having grown up in Wabasha on the Mississippi River. She obtained her degree from Concordia University majoring in marketing and management. Robin worked twenty years at Mayo Clinic before starting her real estate career in 2000. She has been an extremely active member of the community including her volunteer work with Rochester Better Chance for 16 years. Robin and her husband Scott raised their two children in Rochester. Robin’s energy and dedication to the art of real estate is what sets her apart from all others. Customer service is paramount to Robin and to everyone in the Gwaltney Group. Her love of life is infectious and she considers her customers her friends. Her leadership and drive are the motivating factors that make the Gwaltney Group so successful. Scott has spent most of his life in southern Minnesota. He has been an active member of the Rochester community for many years, most notably as Resident Director of Rochester Better Chance from 1993-2009. Scott is an avid baseball enthusiast and has been very involved in coaching from youth baseball to the community college level. This coaching experience coupled with his many years as a real estate agent and broker are the perfect winning combination! Starting his real estate career in 1997 in Rochester, Scott’s experience includes residential and commercial real estate. His dedication and attention to detail bring the Gwaltney Group together and keep everyone moving forward to provide optimum customer service and create lasting friendships along the way. Brian was born and raised in Rochester where he attended high school at Rochester John Marshall. He furthered his education at Southwest Minnesota State University, graduating with a Bachelor of Arts in Graphic Design, Minoring in Advertising/Design/Communications. He also played collegiate baseball for Southwest State and was a 4 year Letter Winner and was awarded as a Scholar Athlete. After college Brian quickly acquired a job as a Graphic Designer at National Fleet Graphics in Dodge Center, MN. At that position he managed and designed various digital design projects mostly for print and vehicle graphics. 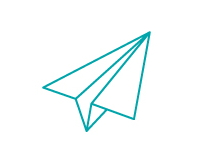 He spent two years working as a Graphic Designer before the Gwaltney Group hired him on as their Marketing Coordinator. Brian's role on the Gwaltney Group includes and not limited to, organizing team marketing strategies, web design and maintenance, communicating with clients, scheduling Open Homes and much more behind the scenes work. He helps the team stay organized along with implementing new ideas to help the group continue to grow and help keep a great client to agent relationship. Born and raised in SE Minnesota and currently resides in Rochester with his wife and four children! Joe has five years active military experience serving as a squad leader with Naval Mobile Construction Battalion Five - "The Professionals". Joe has more than ten years of professional marketing and sales experience. Eight of which are in progressively responsible supervisory positions. Experienced leader, in and outside sales. As a Realtor has proven his ability to advise hundreds of buyers and sellers within the Rochester area real estate market for more than 100 million dollars in company revenue. Joes greatest passion is in coaching others to accomplish their goals, whether it be a buyer/seller or a team member trying to get up and running in the business. Gail has lived in Rochester since 1983. She moved here when her husband accepted a position at Mayo Clinic. Gail studied medicine at Tufts University School of Medicine in Boston. Gail and her husband raised three children in Rochester. She has been active in the community with Rochester Public Schools and Rochester Better Chance and most recently her efforts have focused on her love of animals with her volunteer work with Camp Companion. In 2006 Gail pursued her lifelong interest in real estate and became a real estate agent. Gail enjoys meeting people new to the community and introducing them to everything great about Rochester! Her enthusiasm makes the real estate experience enjoyable and successful for all of her clients. Being a member of the Gwaltney Group provides her clients the wide ranging experiences of all the members and thus helping create a wonderful and rewarding experience for everyone. Travis was born and raised in Rochester, growing up in Country Club Manor and attended John Marshall High School. After graduation, he attended the University of Minnesota- Twin Cities and graduated with a Bachelor’s degree in Business Management. Upon graduation, he became a sales associate and manager for Southwestern Advantage, an educational company that publishes and sells products to help students with their educational needs. While working with Southwestern Advantage, he traveled all over the eastern part of the country, living in Southbend, IN, Bay City, MI, and Syracuse, NY. In September 2014, he realized it was time to move back to his hometown to be closer to friends and family, and pursue his passion for Real Estate. He attended the Minnesota Realty School in Roseville, MN. With his knowledge of the Real Estate market and experience of the Rochester area, he is a superb new professional with an immaculate work ethic, who will help you with all facets of your Real Estate needs. I have been selling real estate for 25 years and lived in Rochester most my life. I like to golf and enjoy exercise. I recently had a heart transplant and I am doing excellent. Rochester is a great place to raise a family and to live and to retire. Please contact me if you have any interest in looking homes. Krystal loves Rochester because the city is a perfect example of a small-town community with a big city vibe. Matching people to their new homes has been important since her childhood in the Salt Lake City area, where her mother was a real estate agent and introduced her to the business when she was young. From an early age, Krystal has been involved in home renovation projects which have developed her passions and cultivated her skills for real estate and interior design, making her an exceptionally knowledgeable member of her profession. She joined the Gwaltney group in 2015 and has been applying her unique expertise in service of her clients since she joined. When you choose Krystal as your agent, you are choosing someone who understands your needs and sees the potential in properties and cares deeply about connecting you to a property that is right for you. Whether you are a first-time homebuyer, an incoming resident to Rochester, or an investor, Krystal can provide you with the service and information you need to make an educated purchase for you and your individual needs. Bill has been a licensed Realtor since 1998. Throughout his years of experience he has helped both buyers and sellers achieved find a home of their dreams. Bill resides in Kasson, MN, with his wife Ann and their two sons, Billy and Charlie. Both of their boys are very active in sports and recreation and enjoy hockey, football, auto racing, bull riding, and shooting sports. Working for you and watching out for your best interests is a great quality of Bill's. Hard work is what you will receive through Bill and he looks forward to helping you and your family with all of your real estate and relocation needs. Gene has lived in the Rochester area for the past 40+ years. He has 14+ years focusing on Real Estate, in new construction and marketing Real Estate in the SE Minnesota area. He is married and has 3 grown children and 3 grandchildren. His hobbies include family activities, investing and working outdoors. Gene grew up on a farm in Iowa and after high school he enlisted in the Navy where he spent two years on the aircraft carrier Enterprise. He then attended Iowa State University and received his BSEE degree. He joined IBM for a 30+ year career in computer development. While at IBM he earned a MSEE with a minor in Computer science from the University of MN and a BA in Business from Winona State University. Gene has always had an interest in Real Estate. Following his IBM experience Gene got into Real Estate, spending the next 10+ years as a builder rep, followed by 4+ years focusing on existing Real Estate as well as new construction. He found the people skills and experience working with customers and clients he developed over the years directly apply to the Real Estate business. Gene enjoys working with sellers and first time or move-up buyers interested in existing or new construction properties. He believes buying or selling a home should be a positive experience. He works hard to understand his clients and their unique and distinct wants and needs. Gene loves working with people and is eager to work with them to address their real estate needs. Rose was born and raised in Kenya where she graduated with a BS in Accounting from the University of Nairobi. After graduation she worked as loan officer for five years before moving with her family to Rochester, MN. Rose finds joy and fulfillment in working with people, building relationships and serving others. After buying a house as a new home buyer, Rose developed an interest in helping people find homes and sell their homes. She attended Kaplan Realty school and has been working with Gwaltney group since 2016. Andrew "Drew" Atwood comes from a family with roots involved in Real Estate that runs four generations deep. The experience gained through the mentors and role models at an early age has instilled at his very foundation several core values that guide all of his daily actions. Being professional, ethical, honest, hardworking, trusted and experienced are just a few of the many positive attributes that allow Drew to be one of the best Realtors out there. Drew also has a background in remodeling, construction and general maintenance making him a great asset to the team. Buying and selling real estate can be very exciting but often stressful and confusing. Drew is committed to learning about each client's needs and assisting them throughout the buying and selling process. Jeff Leland grew up on the family farm in south central Minnesota near Bricelyn. Growing up in a small farming community taught him the values of personal relationships which are built on honesty, integrity and hard work. While working to complete his Bachelor’s degree at Mankato State University, Jeff started working for a local ambulance service and discovered his passion for helping others. Jeff went on to complete his Bachelor’s degree, obtain his certification as a paramedic and worked in emergency medical services for over 20 years. Jeff also holds a Master’s Degree in Organizational Management, is an experienced university educator and leader. Jeff is involved in his local community as a youth sports coach, volunteering with various activities in his church and serves as a member of the Pine Island school board. Jeff and his wife Ann have been married for 24 years and have raised their three children in Pine Island, MN. Camie was born and raised in Wisconsin and grew up to love Wisconsin Sports. Camie met her Husband Tim in college and that is how she ended up in Minnesota, for the last 20+ years. Our Daughter Destinee is in college majoring in Broadcast Journalism and our Son Hunter is in college majoring in Computer Science. Camie has been in a customer service role since she graduated from College, first in the Hotel business and then in Real Estate. Camie's role in the Gwaltney group include, processing/managing all the sales and listings, being of assistance to our Sellers, Buyers and Team members and just generally helping the Team out in anyway that she can. Delia M. Clark was born in Chicago but has spent the last 20 years in Rochester. She comes from a family of entrepreneurs and has spent over 30 years in sales and customer service including 6 years as a lia sophia Advisor where she received numerous awards and recognitions. Delia is married and has three adult children and one grandchild. In her spare time Delia enjoys shopping, reading, traveling and spending quality time with family and friends. Born and raised in Kansas, Branton has been in the Rochester area for 20 years and currently lives in Oronoco with his wife and 2 children. Branton worked at the Mayo Clinic in the anesthesia department for 12 years prior to joining real estate. Branton has helped hundreds of buyers and sellers, and truly enjoys coming to work everyday. His biggest strength is the people aspect of Real Estate and the connection he builds with clients from their first meeting and continues long after the transaction is finished. Earning trust and respect, my clients know I have their best interest at hand. One of my goals is to save people as much time and stress as possible and make it a fun experience but also do everything I can to find them the right home. Buying and selling is maybe the biggest investment someone will ever make and Branton knows he has to get it right. A Rochester native and graduate of the University of Minnesota-Duluth, Heather is proud to call Minnesota her home. Her real estate experience began many years ago in Common Interest Communities and has grown to include Residential Real Estate. Heather’s energy, problem solving skills, genuine desire to help others achieve their home buying and selling goals, and attention to detail have made it a natural fit. She is passionate about bringing buyers and sellers peace of mind through the process. Although she is a trusted advisor for buyers and sellers of all ages, Heather has earned the Seniors Real Estate Specialist (SRES) designation which highlights her knowledge and expertise in advising and guiding clients over the age of 50 through major financial and lifestyle transitions as they relocate, refinance, downsize, consider senior living options, and sell their family homes. In her spare time, Heather enjoys traveling, kayaking, live music, freelance writing, and spending time with her family. Four things clients can count on with Heather: commitment, integrity, honesty, and enthusiasm. A native of Lawrence, Kansas, Michael Grob relocated to Rochester ten years ago with his wife and children. A veteran firefighter and EMT, Michael served his community and learned what it truly means to work on a team. Once settled in Rochester, Michael worked at Mayo Clinic and served patients throughout the downtown clinic campus, ensuring they arrived at their appointments on time and providing the world-class customer service Mayo Clinic is known for. 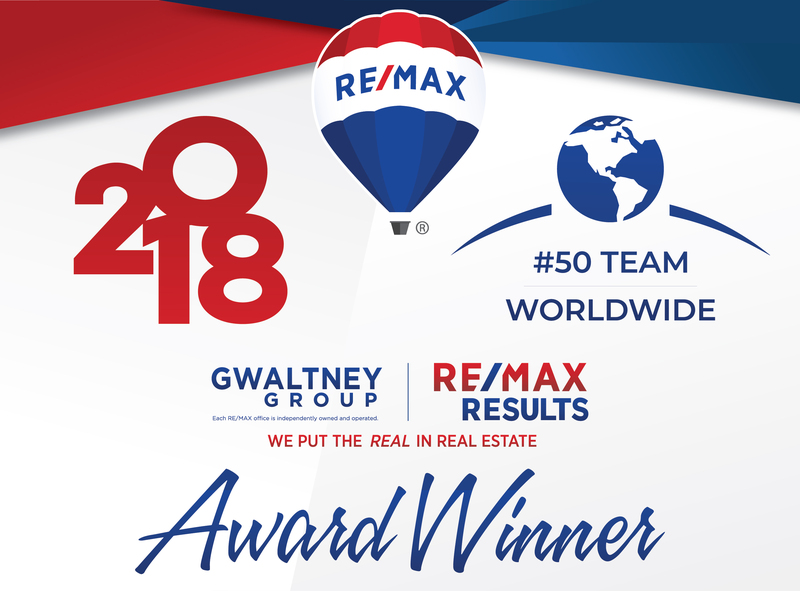 Although Michael loved serving patients, he missed the opportunity to work in a fast-paced, team-oriented environment, and decided that the Gwaltney Group of RE/MAX Results was exactly what he needed to continue to serve the community and be a part of a winning team. The community of Rochester is nationally recognized for its hospitality, quality of life, options for healthy living, and excellent neighborhoods. Michael has worked with many clients and helped them find their first home or their forever home. Michael is an avid golfer, hitting the links at many area courses, and enjoys spending time with his family. As the Rochester real estate market continues to evolve and grow, it’s important to have someone advocating for your interests as a buyer and a seller – Michael knows the market and gets to know each client in order to best serve their needs. Dustin is in his early 30's and has spent his whole life in the Rochester area. He lived in Kasson through his childhood and early adult years, and now lives in Byron with his wife Brittany and their three dogs. He spent 11 years working and managing a local McDonalds in Rochester MN. From this experience he has learned that the customers needs always comes first! He has taken this life lesson and continues to practice it everyday working as a Real Estate Agent, helping people search for their first home, or their forever home. He likes to spend his free time at the golf course getting in a round of golf, or spending the weekend with his family camping. Greetings! My name is Josh Bergman, and I'm so excited to be starting as a Real Estate Agent with this amazing team at The Gwaltney Group. I have always had a passion for real estate, and starting this career really is a dream come true for me! First, I'd like to tell you a little bit about myself. I'm originally from St. Paul, but have been living in Rochester for the past 10 years. I've been married to my beautiful wife Sarah for the past 8 years and we have two amazing boys (Harper age 13, and Gabe age 7). I'm really active with my family, and I know how busy life is for people, that's why I know how important it is to have an agent who understands the market, and understands the needs of the client! I know that buying or selling a home can be stressful, but I promise to make it as seamless and stress free as possible by really taking the time to understand what you're looking for, by keeping your needs and budget in mind, and by being a great communicator. I genuinely care about making my clients happy! Thanks for taking the time to learn a little bit about me, I can't wait to help you with all your real estate goals. I was born and raised in the beautiful Mississippi River Valley and truly appreciate how lucky I am to have grown up on the shores of the river. Currently I live in Pepin with my husband Ron and our two dogs, Bella and Bucky. We have two daughters both married with families who both reside in the valley. I’ve lived and worked in this area during the span of my life and as circumstances have it, I find myself in the next chapter of my life. After thinking about a new career, I decided to talk with my friend Robin Gwaltney who is the team leader at the Gwaltney Group. I made the decision to acquire my real estate license in Minnesota and Wisconsin. Our goal has been to help the Gwaltney Group develop a strong real estate presence in MN around the Wabasha and Lake City areas as well as across the river in WI from Alma to Maiden Rock. The towns and villages in this area all feature great dining experiences and culture such as the Flyway Film Festival and the Fresh Art Tour, and local celebrations like SeptOberfest and Water Ski Days just to name a few. I have friendships and bonds in every community whether it be the locals that have lived here for generations, those that moved here to enjoy peace and quiet from the big city life, the snowbirds, and of course the weekender’s lucky enough to have a second home here in our beautiful valley. I really understand life here and as a REALTOR® would be honored to help you find your perfect home in one of these small towns and villages. Whether upsizing, downsizing, or new to the area, I’m here to off­er you great service with a quality team by my side! Whether it be open houses, marketing, staging, or professional photography, our reliable team can do what many individual REALTORS® cannot. In addition, my being licensed in both Minnesota and Wisconsin off­ers you a unique benefit as most realtors are licensed in just one state. With your continued support I look forward to working with you in your next real estate adventure! Had a great experience with Robin and her associates. They are professional, cater to your need and spend many hours help me to find a great home! Working with them made housing hunting like a breeze. They also had a great legal team support for closing. Thank you! We had the BEST experience with Clark Jones and all the other people from the Gwaltney Group that we worked with on our purchase. Clark was friendly, down-home and never pressured us in any way. The entire process was transparent and a breeze. Couldn't have asked for better. Would use again, and highly recommend. With as much work as Travis puts into his work, it seems as though he's been in the business forever! We were very thankful and impressed by Travis's responsiveness, availability, knowledge and execution. He is very knowledgeable of the market in Rochester, and I thank him for presenting our seller with our best offer. Working with Travis was a breeze and definitely put us at ease as first time home buyers. I would recommend Travis to anyone and will now consider him our realtor for any future home buying/selling needs. Krystal did a phenomenal job of hearing our vision, respecting our budget, finding the perfect house, and negotiating on our behalf. Our first home buying process was a very pleasant experience, and we'd highly recommend Krystal to anyone looking to purchase or sell a home in Rochester, Minnesota.